Three years ago, Scott Butler called a team meeting to discuss next steps for Highstreet Ventures. It would prove an important one. Already pushing the boundaries on green initiatives, the president further challenged his team to pursue certification for their green initiatives on future builds. The development team was hesitant. Would the burden of additional time and cost rule out this goal? Once various options of green certification were evaluated, it became apparent that with a little modification to their design and company practices, Highstreet could achieve certification through Built Green Canada. 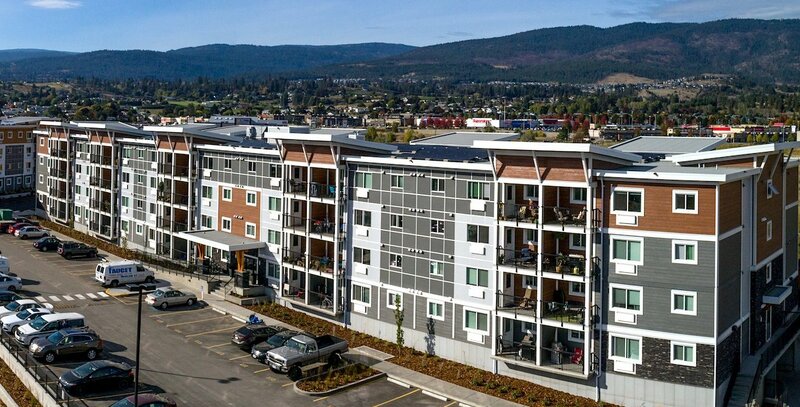 That June, Highstreet announced their next projects: Mission Flats in Kelowna and Carrington Ridge in West Kelowna. 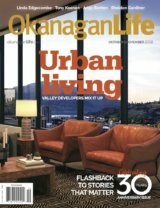 Together, 520 Built Green® gold-certified rental apartments came to market in the Central Okanagan. Projects certified through Built Green Canada take a holistic approach to sustainability, including energy efficiency, and then going beyond to include materials and methods, indoor air quality, ventilation, waste management, water conservation, and overall business practices. For tenants, it means a healthier, more durable home with a lower environmental impact, which comes with the added benefit of reduced monthly costs. Green projects are at the intersection of affordability and sustainability. Buying a home is far less attainable than it once was, making an affordable, quality rentals an attractive option. Sustainable features that reduce utility costs further can help with affordability. 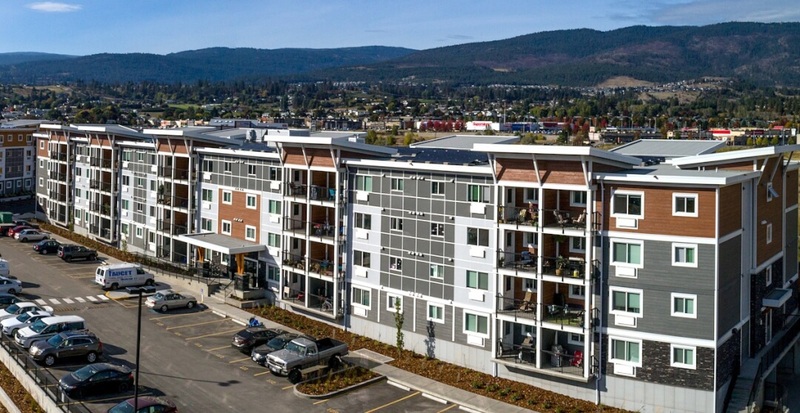 The Kelowna and West Kelowna projects feature the largest private investment in renewable energy in multi-family projects across Western Canada. The developments also include electric cars and car sharing; landscaping designed to mimic the local environment through less lawn coverage, as well as integrating xeriscape concepts.